Working in close collaboration with luxury brands, we weave fabrics suitable for drapes, upholstery, outdoor & marine, as well as home accessories. 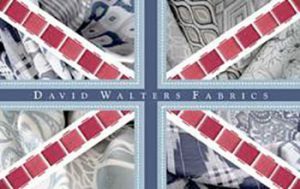 As part of Stephen Walters & Sons Ltd, David Walters Fabrics is a division of the 10 generation family business, with almost 300 years of weaving experience. Set in a traditional Suffolk town we combine the history and experience that is at the heart of our mill, with today’s technological advances in weaving. By combining noble fibres such as silk, cashmere and wool with other natural and man-made yarns, we are able to produce a wide range of woven qualities all under one roof. © 2019 David Walters Fabrics. Company registration number 60209.